This is an interview with Udegbunam Chukwudi Emmanuel – the eight in our Nigerian Internet Entrepreneur Spotlight series. My name is Udegbunam Chukwudi Emmanuel. I’m a Medical Doctor by profession and a part time blogger. For those wondering why a doctor who’s supposed to making plenty of cash seeing patients is blogging, I joined the blogging scene as a way of making extra income on the side so I can sponsor myself to Music school. Everything I know about blogging right now, I did via trial and error on my first blog StrictlyOnlineBiz.com. I’ve out in all the knowledge I’ve gathered from that first blog into my second one PatchworkOfTips.com and in just 3 months, I’m raking in over 400 Unique Visitors monthly and hopefully it will continue to grow by God’s grace. MMON: That’s great Emmanuel. Both your blogs are on the first page of Google for the niche they belong to. So, when did you start Making Money Online and how did you make your first money online? 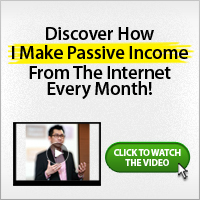 I started making money online in the year 2009 and it was via the ever popular Google Adsense. I’m yet to cash my earning though. Waiting for it to accumulate well! MMON: When starting your blogs, did you ever expect it to grow to where it is today? Like hell I did. Lol. I always envisioned my first site growing into one of the major blogs in Nigeria ‘cause I was offering quite a load of free quality information which other folks were selling. Months later I started blogging just for fun as the growth was just not proportionate to the amount of time I had spent on it. MMON: You’ve been in the internet space for a long time, how much of an impact have you made? I really can’t measure the impact I’ve had online man. It all depends on the visitors but one thing I do know is that I’m appreciated for running a honest and straight-forward, no bulls**t site ;-). I tell it as it is sin sugar coating. MMON: That’s beautiful. I get inspiration from your posts! So, how have you incorporated social media into your site? I’ve got my twitter and facebook handles placed in strategic locations on my blog and I’m also using the ShareBar wordpress plugin to make it easy for my readers to share my content via the major social networks. MMON: In your opinion, what is the single best way to monetize a blog/website/membership site/forum etc? The best way to monetize a site is by selling your own product but the easiest way of doing is through Google Adsense and Affiliate Marketing. MMON: Great! What would you recommend for a new blogger, that wants to create their own brand/presence on the internet? I highly recommend you find someone to guide you along so you don’t make a lot of mistakes that could hinder your gaining success in a few months. Please note that mentoring someone is time consuming and most folks wouldn’t do for free. I personally wouldn’t ‘cause it’s time exhausting! You either invest some money to learn from someone knowledgeable or you sit behind your computer and get busy with Google. Reading the blogs of the top bloggers out there will also go a long way in helping you achieve quick success. MMON: Any recommended resources for people looking to bring their online business to the next level? Hmmmm! Let me see. Keep reading Make Money Online Nigeria and StrictlyOnlineBiz.com and make judicious use of Google. Also be prepared to read the blogs of the top bloggers out there and learn a thing or two from them. MMON: Thanks for that. Do you have any big announcements or upcoming projects you’d like to tell us about? Thanks Chukwudi Emmanuel for granting us the interview and also for offering a discount on your free blog setup to those reading this.